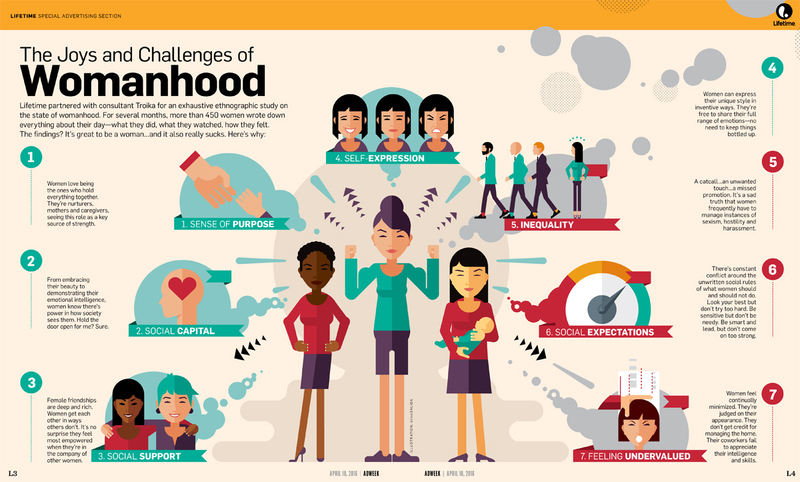 Adweek commissioned Blindsalida to produce an infographic, highlighting the results of their study into womanhood. The study asked 450 women to write down everything they did, their thoughts and feelings for several months. Blindsalida was asked to produce an infographic showcasing the findings in a striking way. To see more of Blindsalida’s work, click here. Blindsalida is represented by Meiklejohn. Published on 6 July 2016.